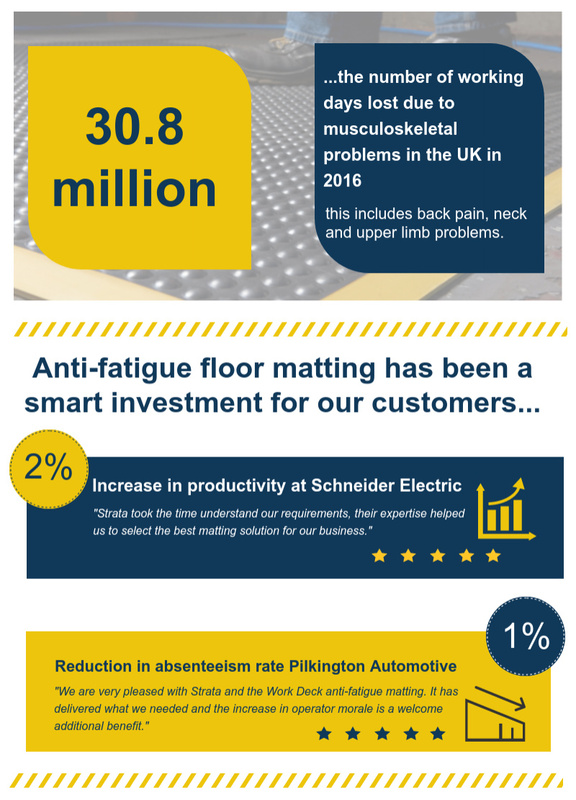 We supply a range of floor matting and floor safety products to clients in the UK and Europe. 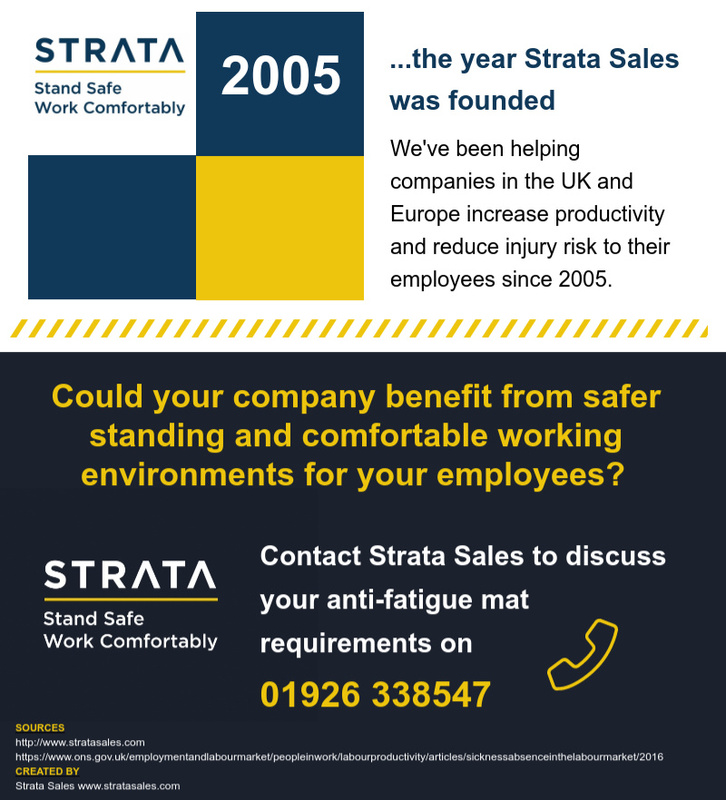 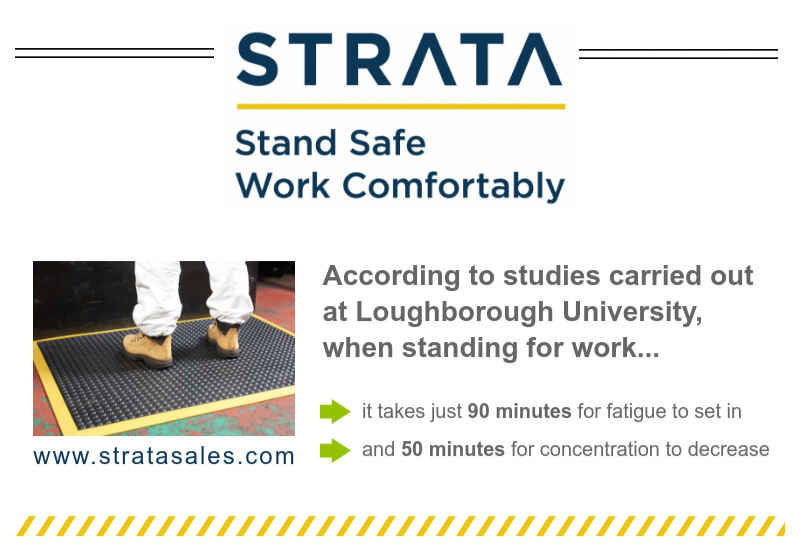 Find out more about the Strata range of anti-fatigue floor mats here or call our friendly Sales team (01926 338547) to discuss your requirements. 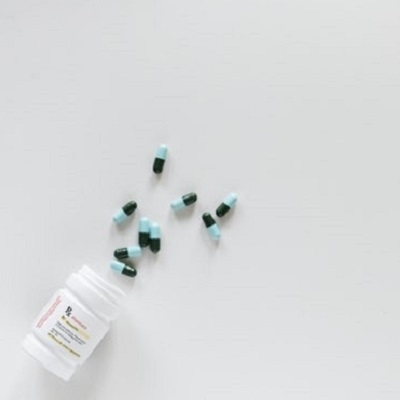 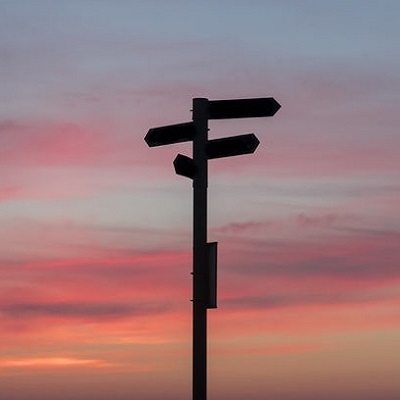 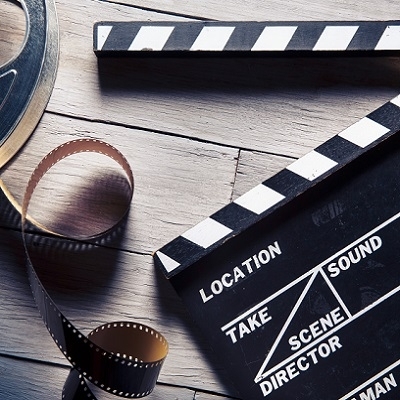 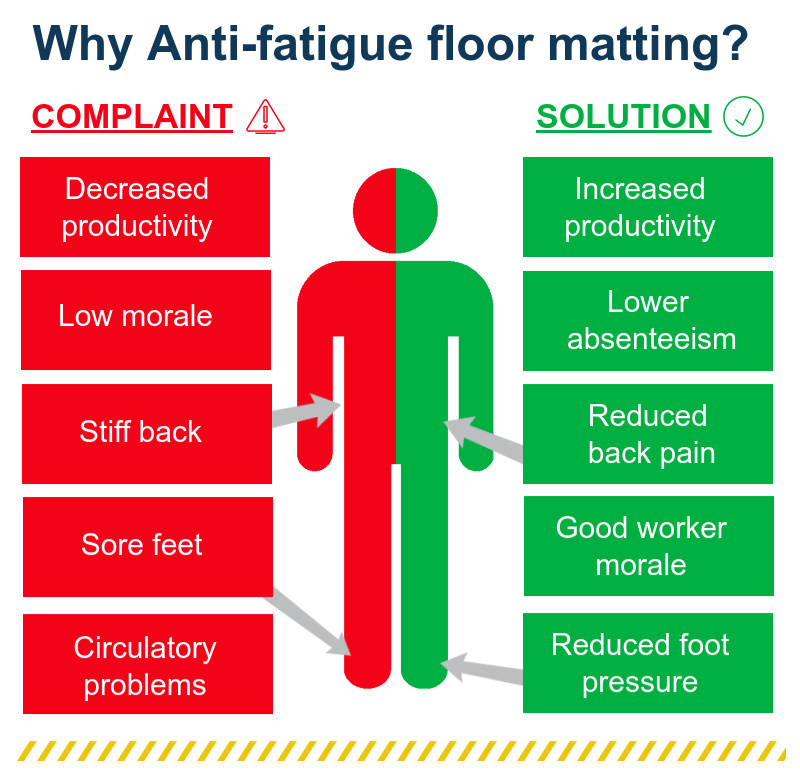 Which type of anti-fatigue matting do I need for my area?